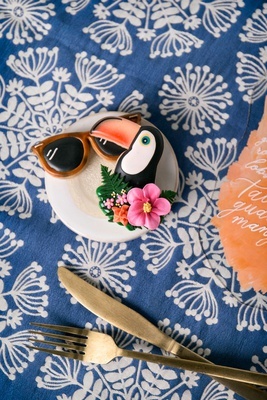 As a wedding planner based in Washington DC, Kaitlyn Hostetler of EVOKE often gets her design ideas from traveling. 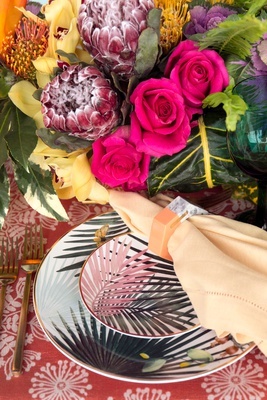 “After a recent trip to Hawaii I was inspired to create a unique look and feel with bold colors, textures, and patterns,” she says. 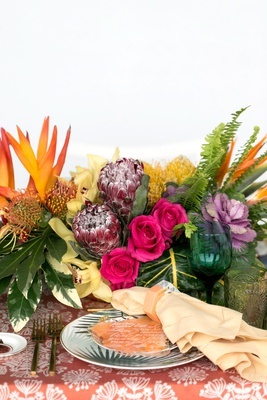 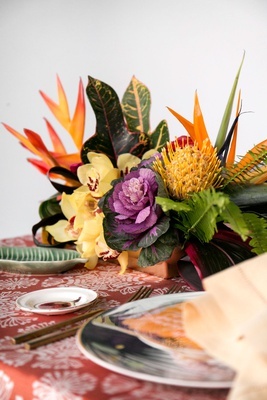 With a team of skilled vendors, a tablescape was developed to showcase the tropical spirit of Hawaii in new ways. 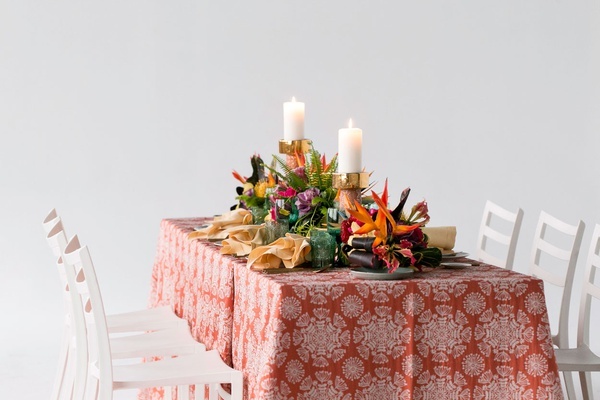 Classic island florals, like orchids and birds of paradise, were used, in addition to less conventional choices such as brassica cabbage and patterned linens. 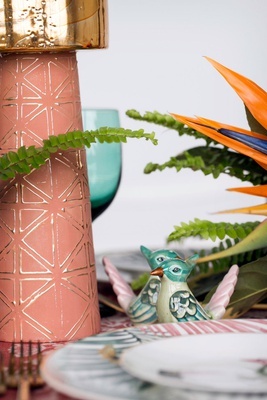 “So much of what we see lately is neutrals, which is beautiful, but I wanted to bring color back into design,” explains Kaitlyn. 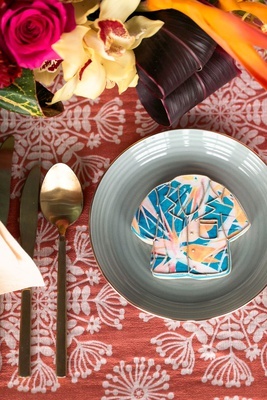 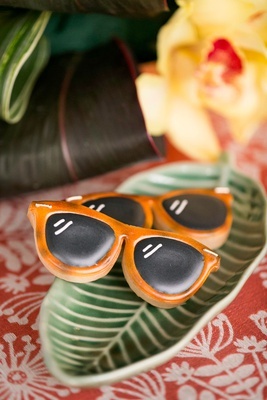 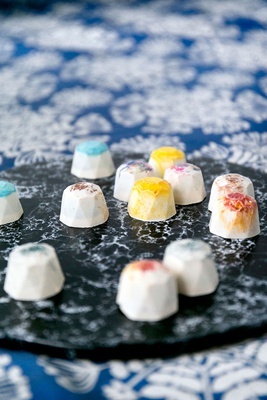 Colorful truffles and vacation-inspired cookies complemented the playful tablescape. 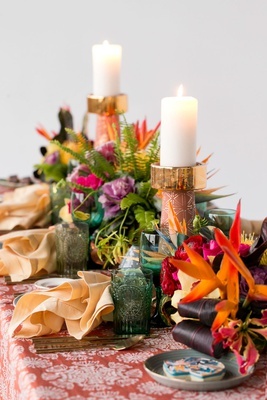 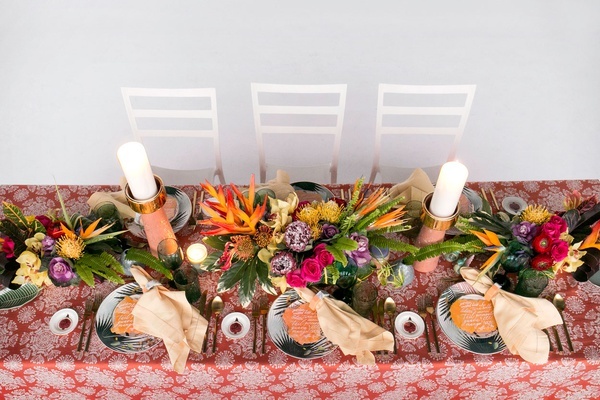 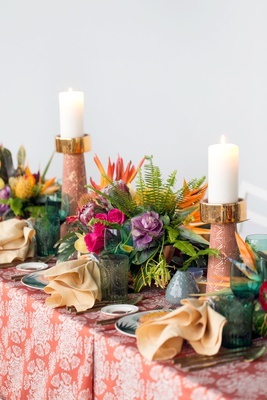 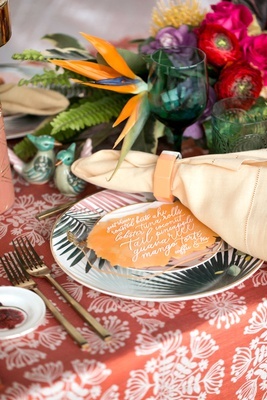 Browse the images in the slideshow above, and be inspired by this tropical styled fête!